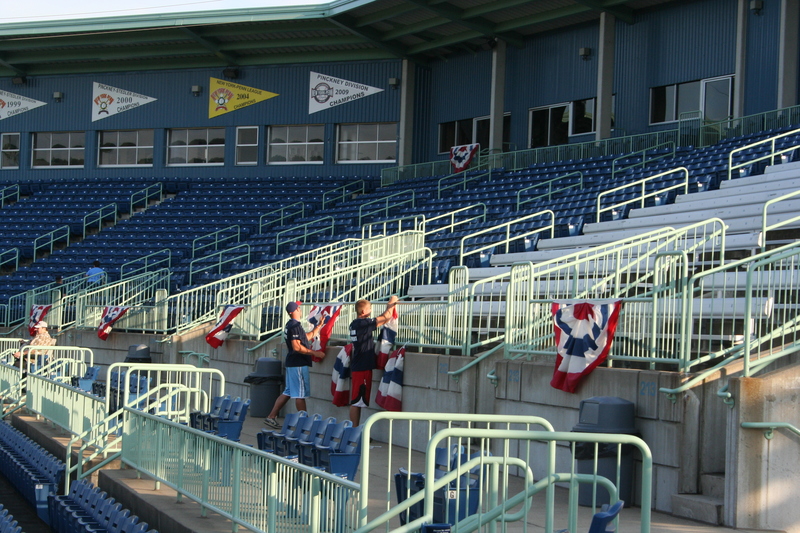 This week, the 2011 edition of the Mahoning Valley Scrappers slowly made their way to Niles. The front office staff compiled a litany of events to warm up the team, coaches, fans and local reporters for the season. A crop of nearly 25 guys, no older than 22, got a chance to familiarize themselves with each other. For many, this will be their first taste of professional baseball. 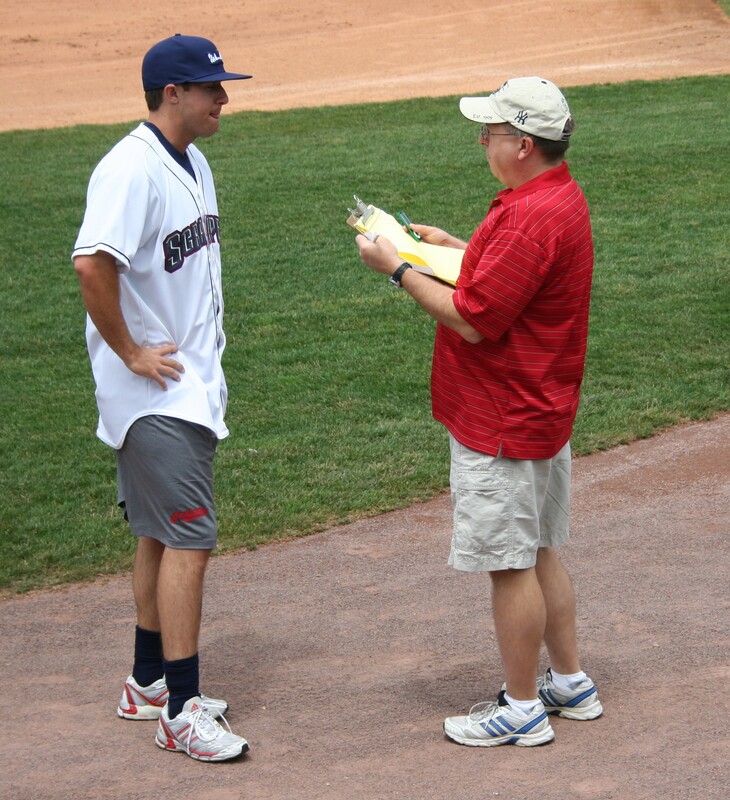 Newspaper and television outlets in the Youngstown-Warren area were invited to Eastwood Field for media day on Tuesday. New manager Dave Wallace, just 31 years old, takes over the Scrappers. His journey is unique as he was a former Scrappers catcher back in 2002. He has since risen through the Indians organizational ranks spending time as the Cleveland bullpen catcher the past two years. Wallace returning to his roots is just one of the many storylines likely to unfold over the course of this exciting season. For some players, Kirk Wetmore, Moises Montero and Kevin Fontanez, the Mahoning Valley will again be their summer home. Having played for the Scrappers before, their leadership will be key to a team littered with many younger prospects. 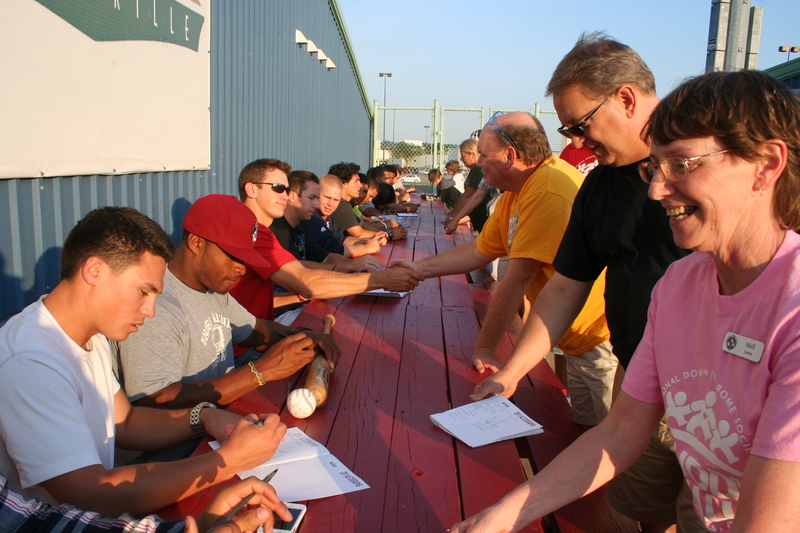 An autograph session, Scrappers Backers scholarship presentation, meet and greet, and grand buffett dinner were provided for all Season Ticket holders at the annual meet and greet event. The ceremonial bunting is now hung at Eastwood Field. The hype and anticipation has been built, within 24 hours they will yell, “play ball,” and the 2011 New York-Penn League will begin.